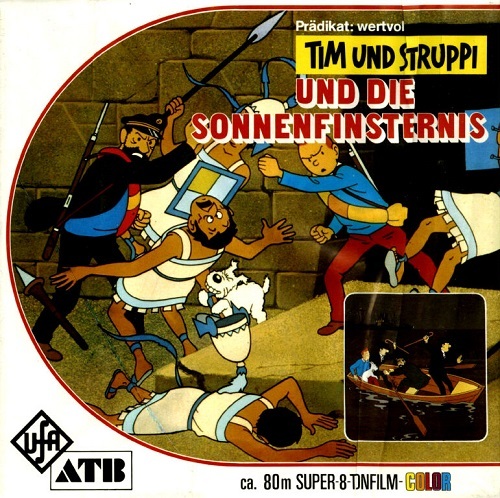 I'm looking for a nice clean version of this Tintin film. It's in German sound. 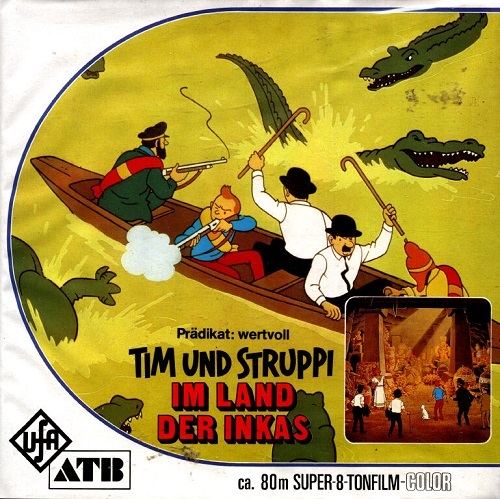 I rather have this in Dutch or English, but I've seen this film so many times when I had it when I was at the age of 14, so the German version is kinda nostalgic for me too, and my family will learn to love it too maybe. there are several prints at ebay.de. I think only parts 1+3 at the moment. 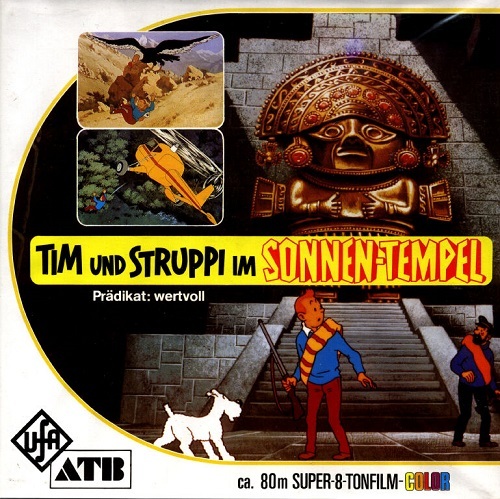 But this title TIM UND STRUPPI IM SONNENTEMPEL comes up often at eBay. Last time I could buy it, it sais there are lines throughout the film. So I passed on that one. The boxes where in great condition tho. Does anyone know this seller? He ask twice the amount, I'm willing to pay for this, but he writes the film looks brand new. If that's really treu, it is probably worth it, although I'm not sure I'll like this film that much, €129. He sais this about most of his films. Check the color before paying it. Many Tintin prints are reddish and which I would not pay for that price. I ment, if anyone had this for sale, hahaha. Stil looking for a nice print of this 3 parter.